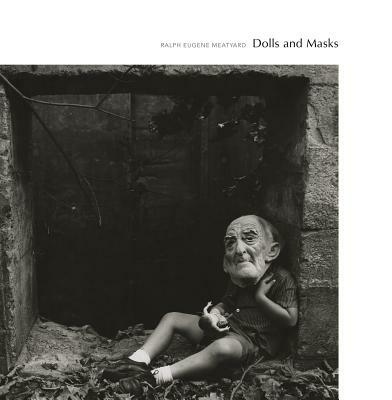 Family man, optician, avid reader and photographer Ralph Eugene Meatyard created and explored a fantasy world of dolls and masks, in which his family and friends played the central roles on an ever-changing stage. His monograph, The Family Album of Lucybelle Crater, published posthumously in 1974, recorded his wife and family posed in various disquieting settings, wearing masks and holding dolls and evoking a penetrating emotional and psychological landscape. The book won his work critical acclaim and has been hugely influential in the intervening decades. Dolls and Masks opens the doors on the decade of rich experimentation that immediately preceded the production of his final opus, The Family Album of Lucybelle Crater. Published to coincide with an exhibition at the Art Institute of Chicago, this handsome book presents more than 70 never-before-seen works from the Meatyard Archive, greatly expanding our understanding of Meatyard's elusive and captivating genius. Writer and historian Eugenia Parry and curator Elizabeth Siegel contribute essays that set the stage for this foray into the unknown work of one of the last century's most intriguing photographers. Ralph Eugene Meatyard (1925-1972) attended Williams College as part of the Navy's V12 program in World War II. Following the war, he married, became a licensed optician and moved to Lexington, Kentucky. When the first of his three children was born, Meatyard bought a camera to make pictures of the baby. Photography quickly became a consuming interest. He joined the Lexington Camera Club, where he met Van Deren Coke, under whose encouragement he soon developed into a powerfully original photographer. Meatyard's work is housed at the Museum of Modern Art, George Eastman House in Rochester, New York, Smithsonian Institution and many other important collections.